Tim Cook from Apple just announced the highly anticipated iPhone 4S in Cupertino, CA. On the outside the 4S looks exactly like the old iPhone 4, but on the inside it's "all new." It now has a dual-core A5 CPU alongside a new dual-core GPU that supposedly boosts graphics performance by up to 7x. Up front is the same 3.5-inch Retina display we've all seen before, and around back is a glass plate. Those antennae around the sides (which caused many users so much trouble) have been revamped and iOS will intelligently switch between two different sets on the fly to avoid dropping calls no matter how you hold it. Those antennae are connected to a dual-mode GSM and CDMA radio that will let Apple's handset roam the globe while enjoying either 14.4Mbps HSPA+ or EV-DO Rev. A. 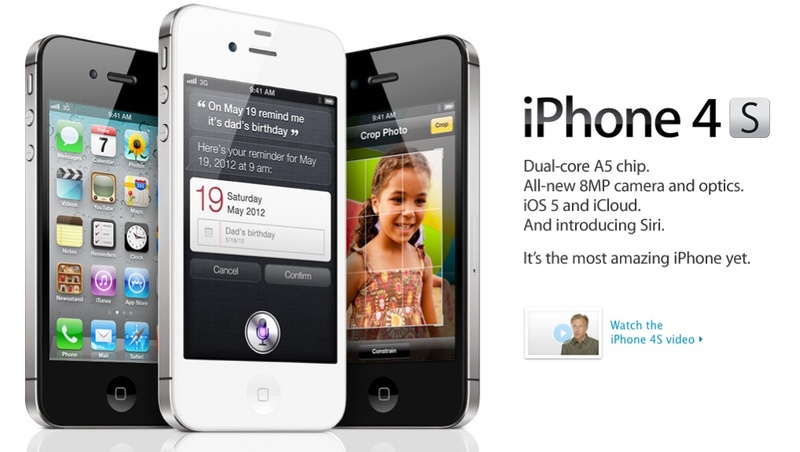 The iPhone 4S will be available for AT&T, Verizon and Sprint on October 14th, pre-orders start on the 7th. 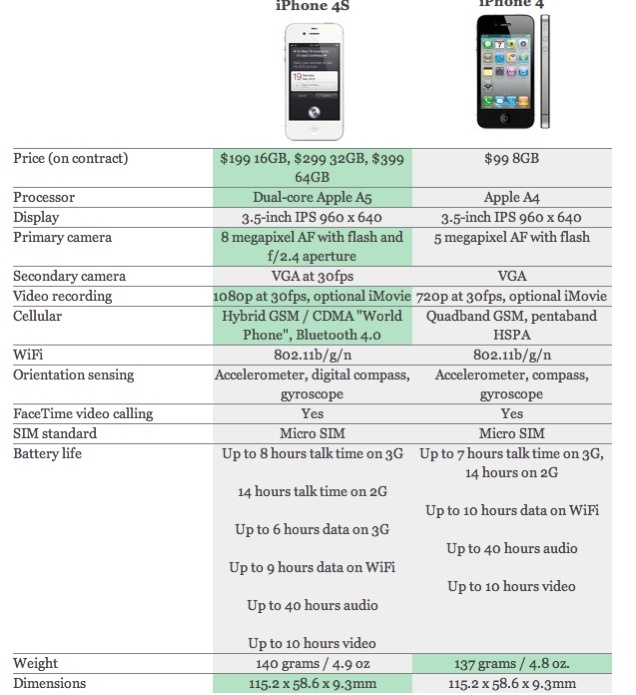 Pricing for the iPhone 4S will be $199 for 16gb, $299 for 32gb and $399 for the 64gb size. 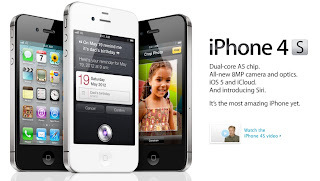 The iPhone 4 will be available for $99 while the iPhone 3Gs will be free on contract both in 8gb size. 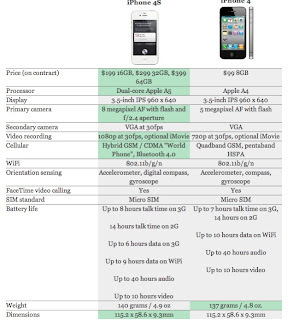 You can see how well the new iPhone stacks up to the competition here.